Google is the popular search engine to search anything on the web. While there are few other good search engines available, there is no one which can beat Google in terms of relevancy. By introducing cards, Google has become one of the primary source of information. This is why, people like to set Google as browser search engine and home page. If you are searching for the answer of how to make Google my homepage question, you are at right place. If you are geeky, you will not understand the use of this guide. But I have seen many people searching for the answer of how to make Google my homepage in Google and different forums. So, I decided to write this guide to help those people who are not able to make Google as default home page in their browser. In this article, I adding steps to set home page on Chrome, Firefox, Edge, Safari and Opera. I have added screenshots for both Mac and Windows platform. If I still missed something, you can comment to notify that. In Google Chrome, you can set Google your home page from settings. Open Google Chrome settings, by clicking on the three horizontal lines at the top right side and then select settings. In Settings page, see the section ‘On startup’. In this, select the third option ‘Open a specific of set of pages.’ and click on set pages link. In new box, add the page URL which you want to set as home page. Enter the URL of Google here. You can also set multiple homepage if you need. If you are using Chrome on MacOS. You need to open Chrome and click on the Chrome menu at the top bar. Here, select preferences. It will open Chrome settings page. Sroll down to find “Open Start-up” section and select third option “Open a specific page or set of pages”. Now click on app a new page and enter the URL of Google to set it as home page. Now you know how to set a home page on Google Chrome. You can add Google Chrome or any other URL as home page on your Chrome browser. In Firefox, there are similar steps. If you are on Windows, click on Tools menu and then select options from drop down. If you are on Mac, you should select preferences in Firefox menu. In options window (preferences in Mac), select general tab and enter the URL of Google in the input field next to “Home page”. Keep reading to see how to do that. If you are on Windows, you can open the Firefox browser and click on Tools menu. Here select the option. In the next menu, select “Show my home page” in section When Firefox starts and enter the URL of the home page. For changing home page on Firefox for Mac, Click on the Firefox menu at the top menu bar. Here, select Preferences. It will open the settings page of Firefox. In the new page, you will see an option for making the home page. It is called “When Firefox starts”. Select show home page and enter the Home page URL. Now you know how to make Google home page in Firefox browser. If you use Edge browser on Windows, you can try these steps. Open the options menu and click on settings. In the new menu window, select ‘A specific page of pages’ and from dropdown, select Custom. In this, enter the Google’s URL as the home page. If you are using Safari, i am assuming that you are using MacOS. It is because most of the people use Chrome or Firefox on Windows OS. So, this guide only covers making Google Home page in safari only on MacOS. In Safari, go to safari menu and select preferences. In the preferences window, enter the URL of Google in the text field in front of home page. If you are using Opera browser, you can follow these steps to make Google a default home page. Go to browser setting and find the Browser section. For this, go to Menu and select settings. Now you will see the option. here, Select “Open a specific page or set of pages” and click on Set pages link. On Mac OS, click on the Opera menu at the top and select preferences. It will open the Opera settings. Here in browser section. Select “Open a specific page or set of pages” and click on Set pages link. You will get option to enter a URL. Here enter the google’s URL to make it home page. 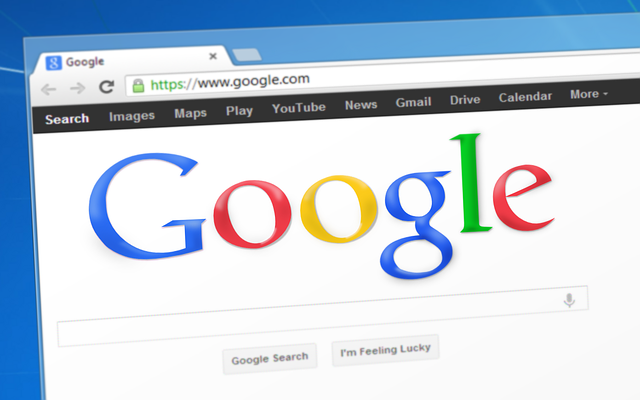 These are few ways to make Google your homepage in different browser. If you are using, Chrome, Firefox, Opera or Edge, this guide will help you. Not just Google, you can also make multiple websites as the home page. I hope now you know how to make Google home page in your default browser. If you are using any other browser and couldn’t make Google your home page, you can comment below to ask and I will reply you as soon as possible. If you find this guide helpful, do not forget to share this guide with your friends. Do not forget to subscribe us and share this article.